James Strutt was both a prolific architect and a bon vivant. As a designer, he was known for imagining beautifully flowing spaces with distinctive undulating roofs and large expanses of glass that let the light flow through. As an early version of the celebrity architect, he hosted chic cocktail parties at his own spectacular residence, with Pierre Trudeau a frequent guest. Around town, he designed unique churches, a few government buildings, and a smattering of iconic private residences. Local architectural geeks with some spare cash now have the rare opportunity to fulfil a life goal — to live in a James Strutt-designed dwelling. The Weiner Residence is up for sale. The House: Think of it as a time capsule of sorts. 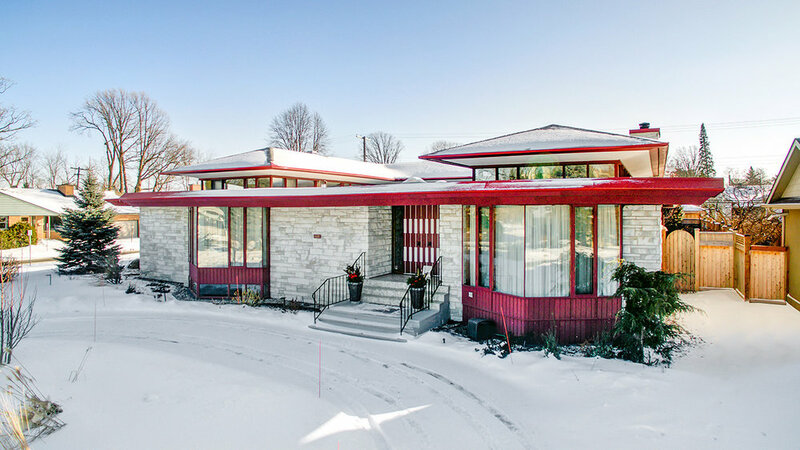 It’s a beautiful example of mid-century architecture, the bungalow was designed in 1958 for Mr. and Mrs. Paul Weiner. From the front, the marble-clad house resembles a pagoda, with clerestory windows under raised roofs. Sunlight streams in all day long. Even more light pours in through a series of skylights framed with red cedar. 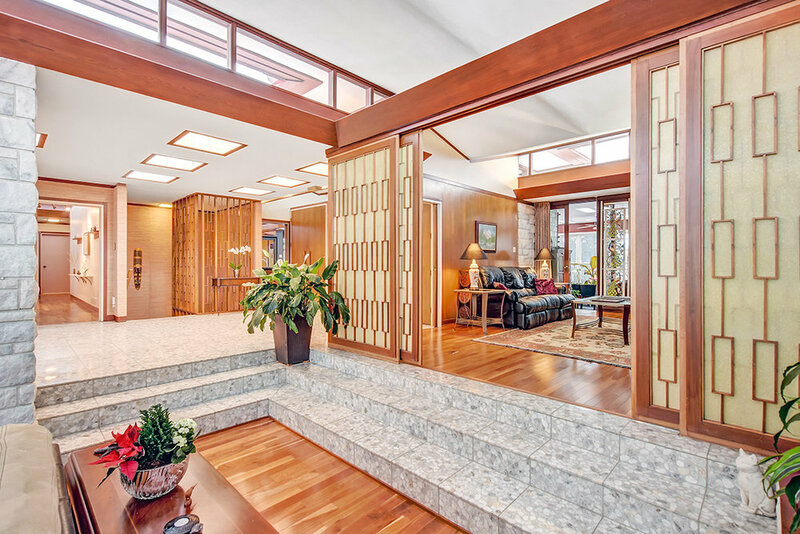 A spectacular central foyer with terrazzo flooring is made for cocktail parties. Ditto the sunken living room. Visitors would do well to spend time taking in the raised ceilings, perfect room proportions, wood detailing and — it is January, after all — the original wood-burning fireplace surrounded by built-ins. Fame Partied Here: Apparently ol’ blue eyes Frank Sinatra hung out here, as did extravagant showman Liberace. Notable Owners: Originally built for local property developer Paul Weiner, it was acquired in 1970 by Mrs. Frank Ryan, whose husband founded CFRA radio. (It was Mrs. Ryan who hosted the likes of Sinatra and Liberace at her grand parties.) Charlotte Whitton, Ottawa’s first female mayor and the sister of Mrs. Ryan, lived in the home in her later years. The Specs: About 3,800 square feet on the main level; 2,000 square feet in the basement.